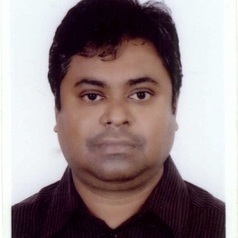 Mohammad Salahuddin obtained his PhD in Economics from the University of Southern Queensland. His PhD research investigated the effects of the Internet on sustainable development in the context of OECD countries with an emphasis on Australia. Salahuddin's research interests span a broad range of macroeconomic issues such as technology and economic growth, Feldstein-Horioka puzzle, energy and social capital. He has over 35 publications, many of which, are in peer reviewed international high impact factor journals. He regularly reviews articles for some top Economics and Energy journals such as Empirical Economics, Comparative Economic Studies, Economic Analysis and Policy, Journal of Developing Areas, Energy journal, Renewable and Sustainable Energy Reviews, Ecological Indicators, Energy Policy, Natural Hazard, Environmental Science and Pollution Research and so on. Salahuddin made over 35 international academic presentations. He taught in several private universities in Bangladesh for long 14 years before joining his PhD studies in 2013.